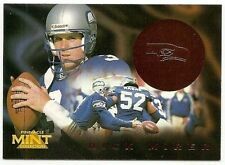 1993 Classic Rick Mirer National Convention Promo Card Condition is Like New. Shipped with USPS First Class Package (2 to 3 business days). #39 Rick Mirer. 1996 Playoff Contenders. Open Field Foil. All cards are near mint unless otherwise noted. He would send a letter along with a card to the player, asking for his signature. Assuming it was sent to dealers to promote the upcoming Fleer product for that year. 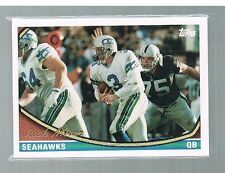 RICK MIRER, SEATTLE SEAHAWKS 9 FOOTBALL CARDS !